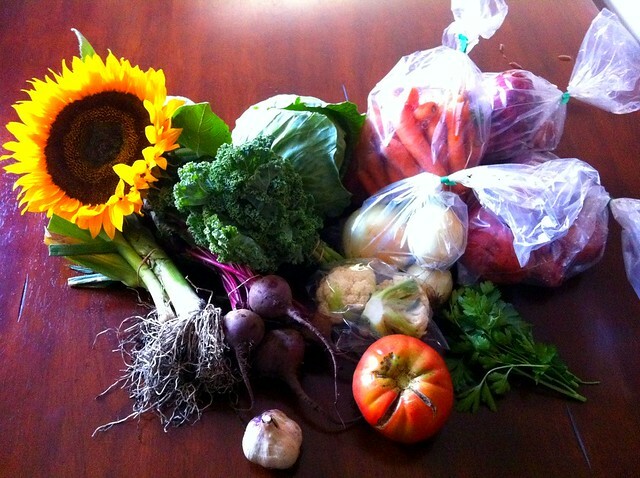 As Fall hits and Summer fades from memory, I am hit with the realization that our lovely CSA (Community Supported Agriculture) subscription for this year is coming to an end. Thankfully I have quite the potato stash to keep us going for a while. I will definitely be signing up with Eagle Creek again next year. So, I thought I would give you another update as the amount of produce we’ve gotten lately has definitely increased. Evan’s favorite of the deliveries has definitely been the carrots. I think I’ve only cooked any once. The rest we’ve eaten raw. Carrots from the farm taste so much more like….well….carrots. My favorite has been the potatoes. Fresh potatoes are so much better than those at the store! We rarely eat the kale we are given so I decided to give it one more “college try” by making kale chips. They were a big hit. I’ve tried making them before but Evan was little, Dewey hated them & I think I burned them. Tonight it was just me and Evan so I figured it was safe to try again. I over salted them because I actually followed the recipe I found but otherwise they were awesome. Evan made me promise to make them again with no salt. Win! 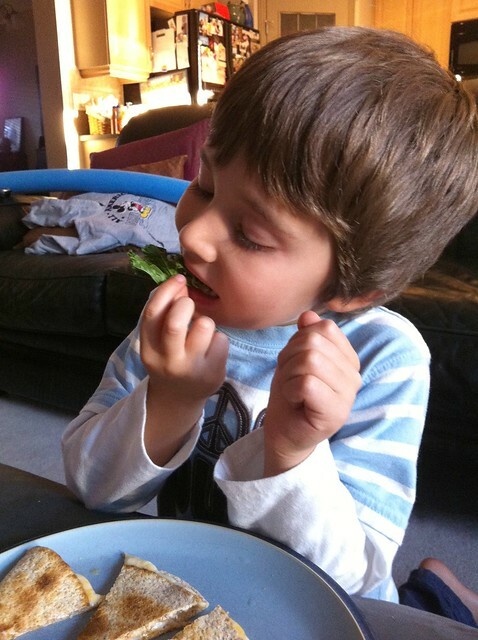 Tear kale leaves off the stalk and into bite size pieces. Place on parchment paper lined tray. Spray lightly with olive oil and sprinkle with seasoned salt (can be omited). Cook just until crisp about 10 minutes but depends on your oven. Make sure not to let it burn! Recipe Notes: These are crispy like a chip. The original recipe called for 1 tsp of seasoning salt & that was way too much. I halved the amount above. Just lightly sprinkle it. It really depends on how much kale you have too. I think a spritz of oil and then a spritz of lemon juice might be a good flavor combo as well. Check out what else is cooking this Wednesday over at Shan’s! I love kale chips! 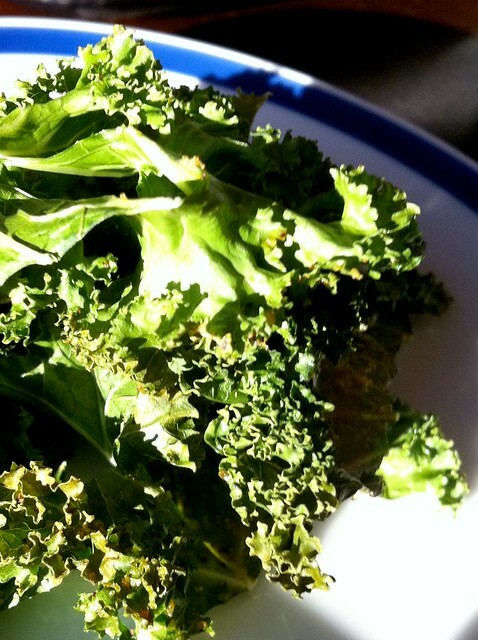 how long you need to cook them depends a lot on the kale itself too. Some are just thicker than others. Also I don’t really recommend no salt of any kind. It really takes away the natural bitterness of the kale. But I’m pretty sensitive to bitterness anyway. Good to know. I figured I would still put a little salt just way less than this time! 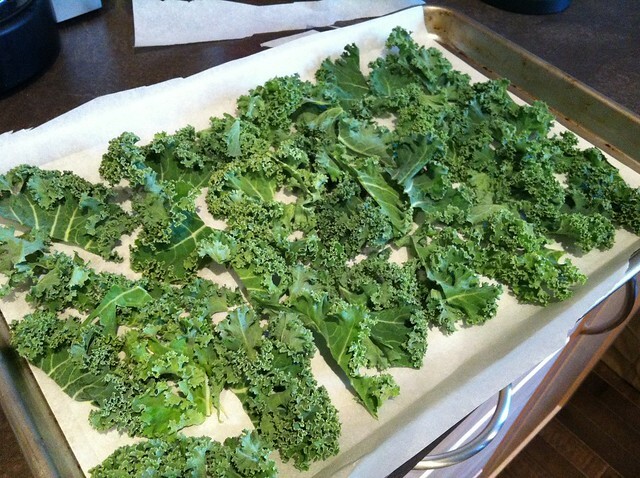 I make kale chips all the time! They’re yummy! We will definitely be making them more often. So nutritious! I have kale chips on my things to post list! We made a cashew butter to put on them – sounds weird, but it’s yummy! I wish we had more CSA options here. I wasn’t happy with the one I tried, and unfortunately there aren’t any others. Adding cashew butter does sound weird but I bet it’s tasty. We have been so much happier with this CSA than the one we used last year. So many more veggies that we actually eat. I hate throwing stuff away! Last year we got so much kale & chard that we just could NOT go through it all. The only negative is that I signed up later so I got a pick up location that is very inconvenient so I spend lots of time driving. That’s a great looking batch from your CSA. Our CSA was new and there was a lot lot lot of kale…which I like but I don’t love and I got tired of having it every single week. Kale and beets were the issue for me. Again, I like beets but not every week. It was a rough crop year so all of their peppers, onions, and carrots failed. They made up for that by upping the beets and kale. Erg. It was too much for me. However I do miss my farm fresh eggs and the ease of getting all my local produce in one spot so I’m thinking of giving them another try.